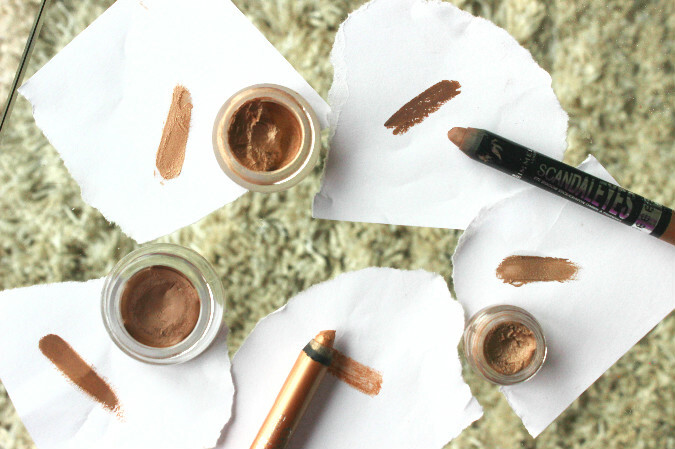 Some time last week I finally hit 100 followers via Bloglovin, which is completely insane! My followers and page views have increased so much over the past 6 weeks and I'm so thankful to everyone who follows, reads or leaves any comments on my blog. So I thought I'd do a giveaway to celebrate reaching 100 followers and give you a bit of a choice on what you win. You can win any permanent MAC lipstick, eyeshadow - in pan or compact - or paint pot from MAC's standard range of your choice. Just simply enter via the form below, UK only sorry. The competition will run for just under a month giving you plenty of time to enter, plus I'm on a bit of a spending ban until my exam is done, so it finishes on the day of my exam meaning I can do some shopping for myself when I go to buy the prize. Thank you to everyone that follows my blog! Whoops! I entered before I realized it was UK only. You can disregard my entries! In any case, congrats on 100 followers! Oh my! I'd love to win the Mac lipstick if do anything to own one! congratulations for hitting a milestone on your blog (and many more to come) thank you for sharing such a generous giveaway! I would absolutely love to win a MAC lipstick because I have heard SO MUCH about them but never bought one before. Congrats on 100 followers girl! 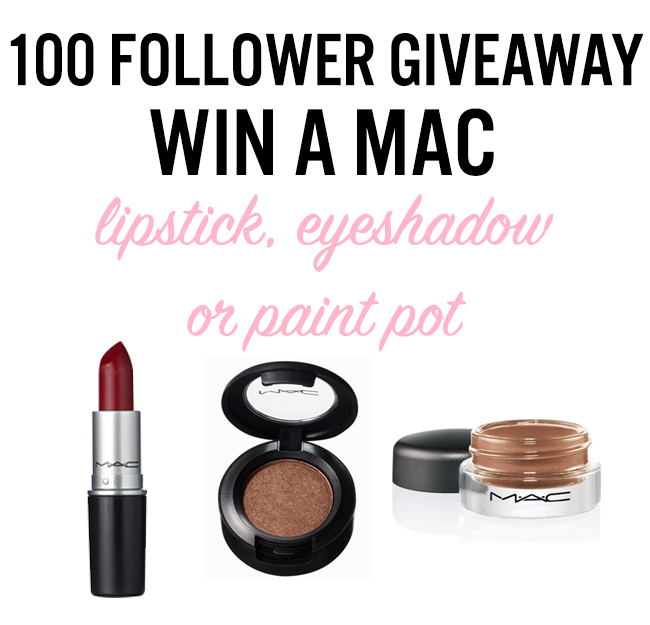 Lovely giveaway too, id choose either Velvet Teddy or Rubenesque paint pot! 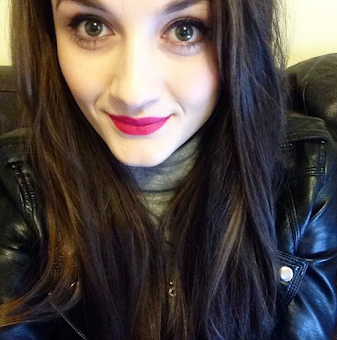 I ADORE MAC lipsticks! I'm trying to build a collection up at the moment! Congratulations on 100 followers lovely! Congrats on 100. Great blog! I think I'd choose Brave or Velvet Teddy Lipstick!